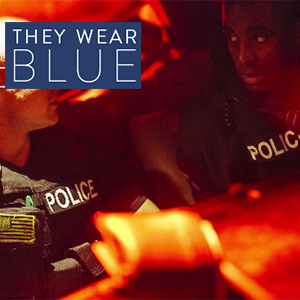 A simple question marked the start of a spring school day for Officer Containa Black at the Institute of Technology at Syracuse Central: “OK, what’s wrong?” Black had noticed that one of her students was having a bad day. As students moved through the metal detectors, just before the first bell in the morning, Black made her rounds throughout the building, checking every last corner and stairwell and checking on most every student who walked by — sometimes more than once. Black monitors the halls of the Institute of Technology at Syracuse Central. 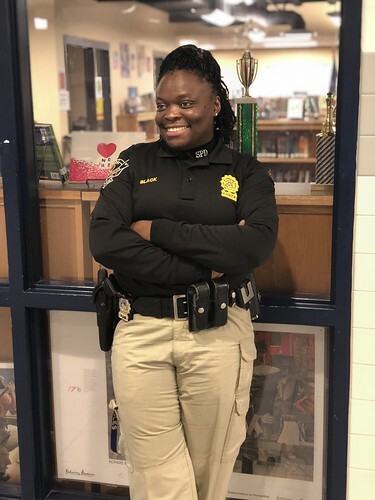 From the streets to the schools, Black’s transition from being a street cop of 20 years to an SRO — a school resource officer — came about eight years ago when two of her fellow officers encouraged her to apply for the position. According to the Syracuse City School District’s Code of Conduct, the roles and responsibilities of an SRO include working with administrators and the school’s faculty and staff to enforce safety procedures, provide guidance on law-related issues and prevent criminal behavior. Black says there is more to it. This spring, the school district held a forum for Syracuse residents concerned about safety issues after a six-minute shooting spree by a troubled former student at Marjory Stoneman Douglas High School in Parkland, Florida. The mid-February shooting left 14 students and three staffers dead. That incident spawned the national March for Our Lives. Black works closely with three sentries who also monitor the school building throughout the day, conduct metal detector searches and keep Black abreast of any suspicious activity, sometimes working with administrators to address any issues. When the halls of ITC grow silent, Black retreats to her office, which she says is rarely empty. Students often pile in to seek advice about issues, discuss their post-graduation plans or just grab a Tic Tac or some hot chocolate before class. While Black is first and foremost an officer, to many students at ITC she is a friend, a confidante or an “auntie” as senior Kiaja Enoch put it. Enoch regularly visits Black’s office throughout the school day. Senior Knariana Hoyle, a member of the Superintendent’s Cabinet, says that any disconnect between students and their SROs stems from a lack of interaction. Students said they felt safer around their SRO rather than a street cop and that knowing their SRO is what makes the difference. Black says that she is not trying to change anybody’s mind, but she hopes to help young adults become better versions of themselves by being a deterrent and not allowing her students to become a statistic. Surrounded by photos of the current and former students that she refers to as her kids, Black stressed that for SROs, guidance and forming relationships is part of the job description.